Ending the Term on a Real High! 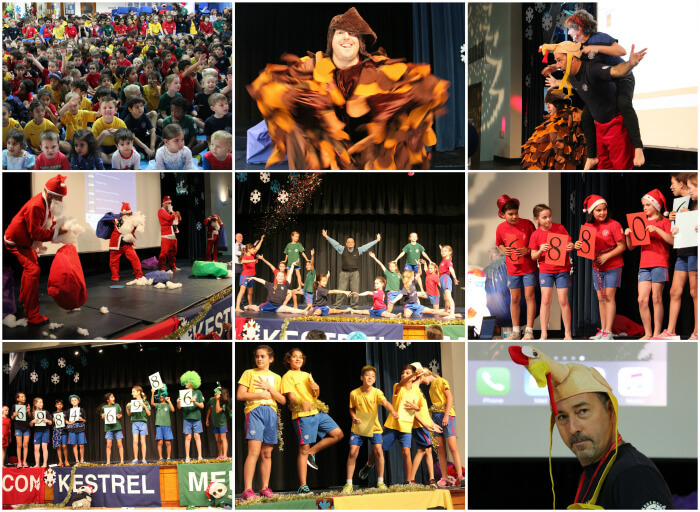 This year’s festive house assembly was a great success. It was jam packed with exciting activities that included singing, dancing, dressing up and a gymnastics display! Mr and Mrs Teague led the actions to our 12 days of Christmas, accompanied by our music department, while Mr Coast caused havoc dressed as a partridge! The House Captains made their grand entrance by dancing their way down the aisle to Jingle Bell Rock. They rounded up the events of the term, speaking confidently about Sports Days and exciting the audience with news about what was coming up in Term 2! Our staff House challenge went down well! A big thanks to Mr Gosling who represented Falcon, Mrs Brandreth for Kestrel, Mr Clifton for Merlin and Mrs Pilgrim in Osprey. They had to dress up in a Santa outfit as quickly as they could, fill their outfit full of stuffing and throw the sack over their backs to win. They all did such a great job that it was declared a draw. The excitement escalated when it became apparent that inside the sack was gifts for each year group! The grand finale came in the form of a goodbye to Aloy who became somewhat famous with his cartwheel in the end of year ‘Happy’ video. We felt we couldn’t let him go without seeing it one more time! He had some help from some of our amazing gymnasts who performed a fantastic routine that included back handsprings, one-handed cartwheels, backward walkovers and aerials! A massive well done to Alex, Leena, Kaitlin, Lauren, Sascha, Zoe, Tessa, Kyla, Sarah, Leyan, Wilma and Olivia. 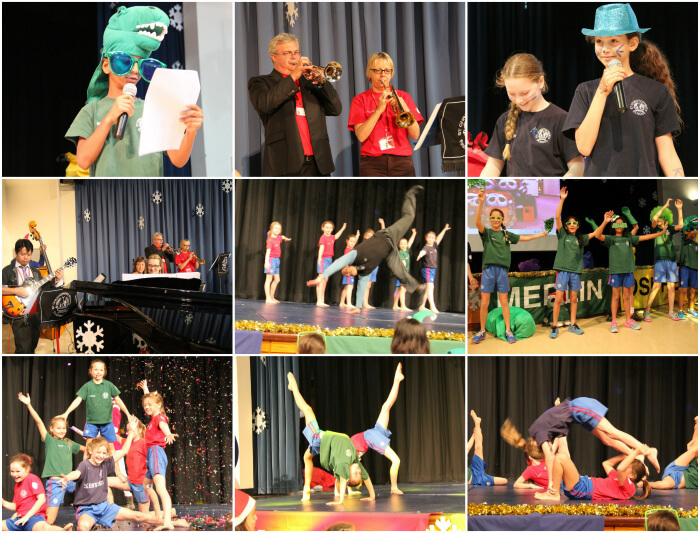 You can see the full routine and experience a glimpse of the assembly by following this link: https://www.youtube.com/watch?v=skmVaL_4U34 or go to the St Christopher’s YouTube site and search for the Festive House Assembly. The assembly concluded with the end of Term 1 House point totals. Well done to Merlin who are in the lead by just two points!